When we try to determine the level of engagement in our classrooms, we have to first define engagement. Although students may be “paying attention” to the teacher, are they engaged? Phillip Schlechty defines engagement as the level of attention and commitment students have in a lesson. Ritual compliance has been the goal inside of classrooms for many years. That belief that if students appear to be working and are not disrupting the class they are learning is past its time. What does engagement look like in your classroom? Are students compliant or truly engaged? Over the next 8 weeks, every weekend, I will offer you a challenge for the following week. 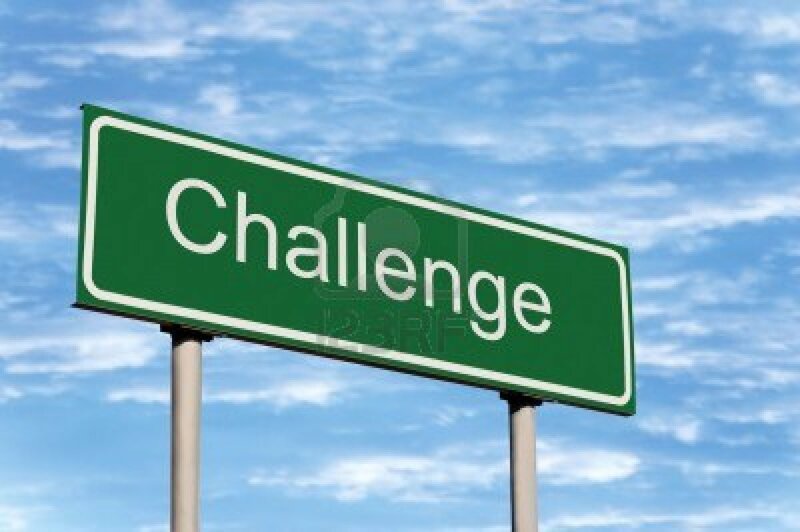 These challenges will come from other teachers, researchers, academics and coaches and take on different formats. You can try one, try the ones you like, or try them all. The hope is that it will stimulate thought about your practice, your pupils understanding and their learning and potentially change them for the better. PE Challenge No. 4: Individual Verbal Feedback. The challenge this week is to give verbal feedback to every individual in the class. First however why don’t you try to find out how much individual verbal feedback you give as a comparison. This quick animated video provides a friendly frame of reference for how to develop growth mindset self-awareness and how to develop habits that will develop and sustain a growth mindset approach to learning. Most importantly, the link is made from how we perceive ourselves and how we foster our own success in life. A great video for a teachers and students becoming acclimated to this new approach to developing a generative self-concept. Checking for understanding is the foundation of teaching. Whether you’re using formative assessment for data to personalize learning within a unit, or more summative data to refine a curriculum map, the ability to quickly and easily check for understanding is a critical part of what you do. In this infographic Mia MacMeekin offers up 27 additional ways to check for understanding. What If Assessment Elevated Learning Instead of Ranking Students? If we hope to improve student learning, we need to get inside student minds and turn up the dial for quality. 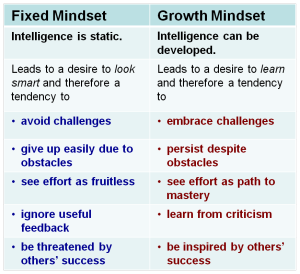 Most importantly, we need to build into every student agrowth mindset — the confidence that he or she can improve through hard work — and a passion for becoming a better student and a better person. 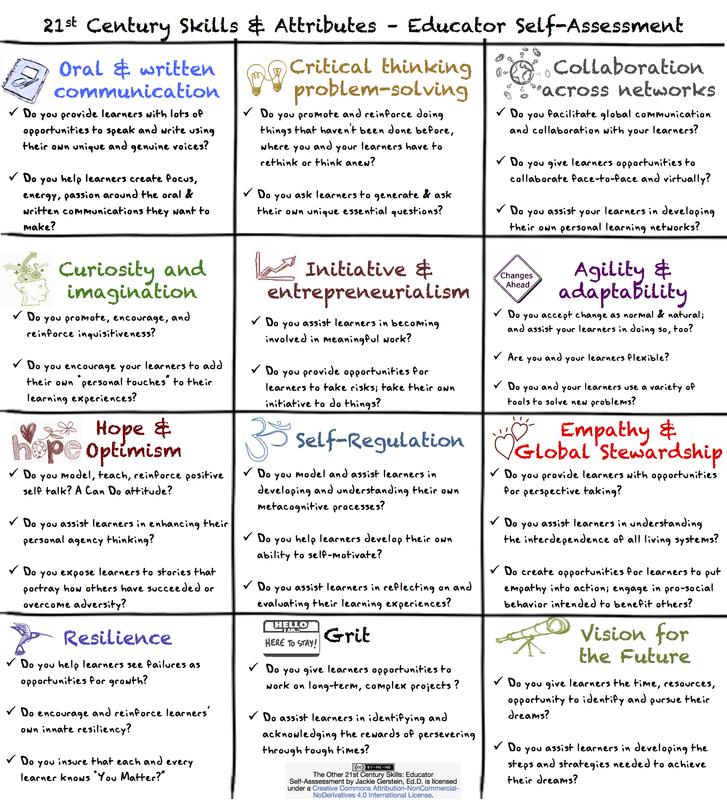 User Generated Education blogger Dr. Jackie Gerstein presents this table of twelve skills and related attributes today’s educators can develop to effectively assist them in evaluating if and how effectively they are working with learners. Read more and find additional resources on her original post. 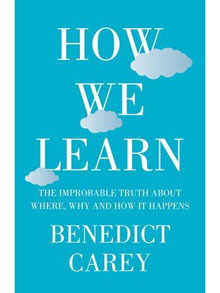 I have read a great deal in 2014, but no one book has had more impact on changing my teaching practice then ‘How we learn’ by Benedict Carey. Carey is a health and science writer, currently for the New York times, who has an interest in the burgeoning field of how we learn and how the memory works. In the book, he expertly shares research on these topics, in a way that is both accessible and engaging, describing how to implement some effective strategies. A lot is common sense and is probably old news to many teachers, however the research he shares has been widely known for decades is relatively new to me.